The group was formed in 1991 by Stefano Giannotti, resulting from the experience of the composer in conducting the opera IL TEATRO DEL FARO between 1986 and 1988. The ensemble operated into the field of chamber music, sound art, performance and improvised music, with a particular look towards popular elements inside contemporary music. In some projects Marco Fagioli on bass tuba and Takumi Fukushima on violin were added. The group started working at a sort of surrealistic music theatre, moving on the borderline between storytelling and improvised music, divertissement and sound-art; its unic sound was created by putting together classic, electronic and popular instruments, toys, objects, pre-recorded voices of elderlies, children, alphabets and languages, natural sounds and city chaos, pure melodies and minimalistic sound-visual actions (which included also slides and – like in CANZONI NATURALI – culminated in a water performance on stage). 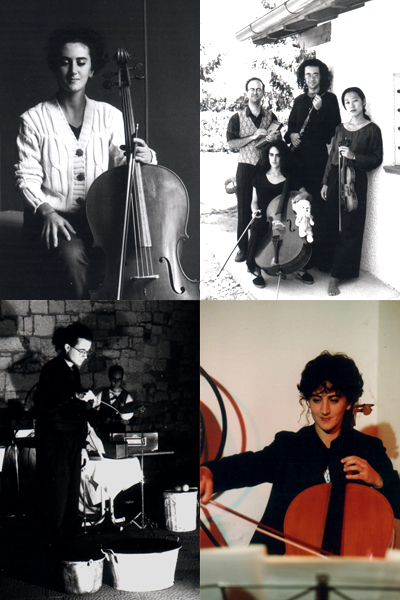 Between 1992 and 1999 , the group partecipated with the composer in international Festivals in Italy and abroad, and played in several recordings for important radio stations (RAI, ORF, SFB, Deutschland-Radio, ABC, Polskie Radio, etc.). In 1993 IL TEATRO DEL FARO partecipated to the creation of the stage-work I VIAGGI DI BEPPE, by Beppe Sanguigni and Stefano Giannotti. In 1996 the first CD NUOVE MUSICHE DAL TEATRO DEL FARO was released by More Music. 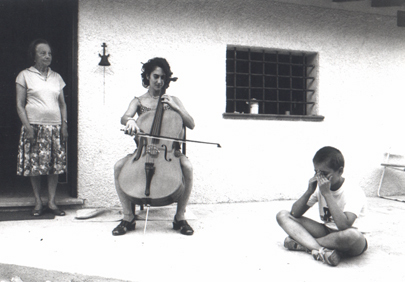 In 1997 the group collaborated at the project LA CITTA’ SONORA, with Stefano Giannotti’s other group VAGA ORCHESTRA. 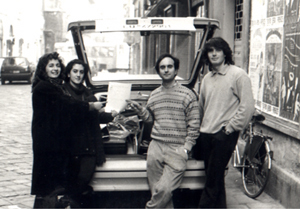 In 1998 a tour in Germany was organized in collaboration with the Italian Institute of Cultures and Deutschlandradio Kultur (recording sessions of FINE DEL MESSAGGIO). 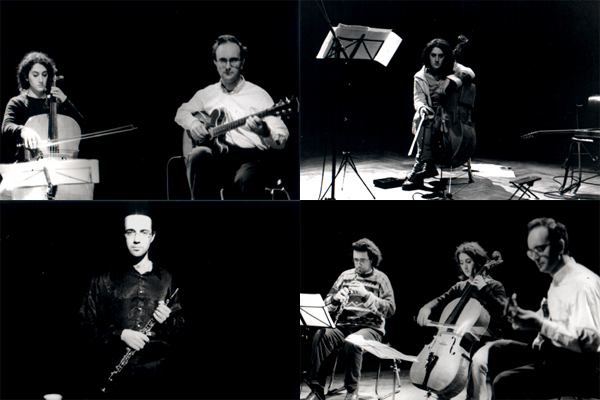 Between 1999 and 2002 the ensemble changed its members and collaborated to two new projects: the radio-piece IL TEMPO CAMBIA (Karl-Sczuka-Preis 2002) which included Linda Matteucci (the flute player from Vaga Orchestra), Marco Donatelli (bassoon), Giuliano Soldivieri (bassoon), Lara Vecoli (cello), Giuliana Menchini (soprano), and L’AGGUATO, L’ABBANDONO, IL PAESAGGIO, including Linda Matteucci (flute), Giorgio Berrugi (clarinet), Marco Donatelli (Bassoon), Pierluigi Papeschi and Luca Giovacchini (guitars), Milko Ambrogini (bass-guitar), Riccardo Ienna (percussion), Stefano Giannotti and Emanuela Lari (voices and keyboards).